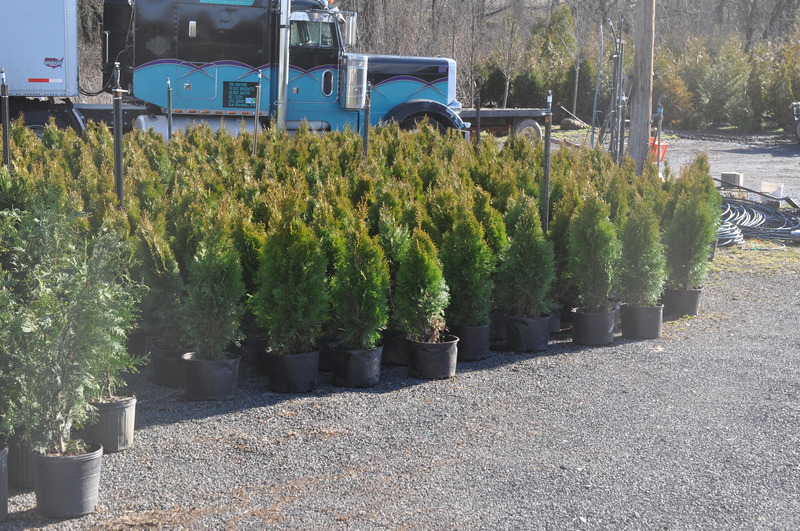 Arborvitae - Arborvitae Liners... Load Your Truck! Yes, we have the ability to deliver and plant most of our trees and shrubs. We can deliver to most areas and in many cases we have the staff to plant the stock for you. 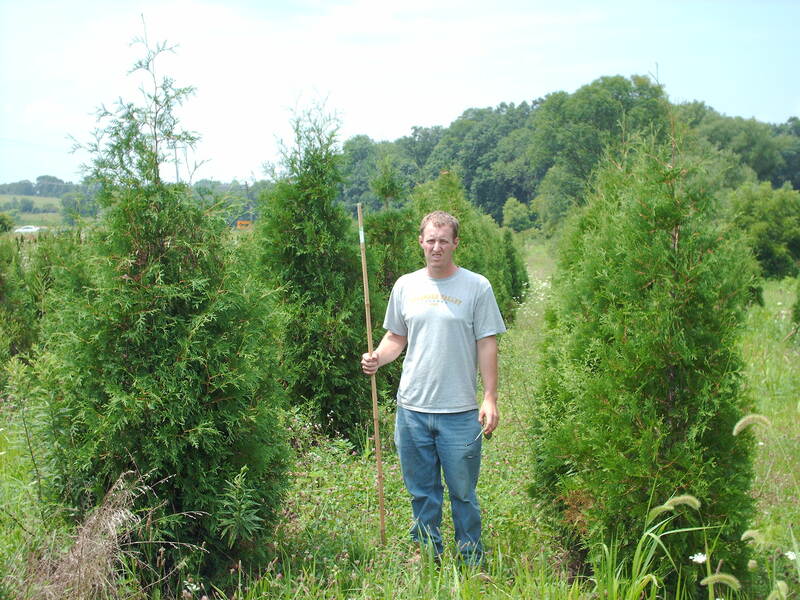 See How We Dig Many of Our Arborvitae. We can also sell and install watering systems to help you maintain and establish your plants. Call us at 215 651 8329 ... or if you have any questions. 950 are available ...please Email Us to reserve them.. 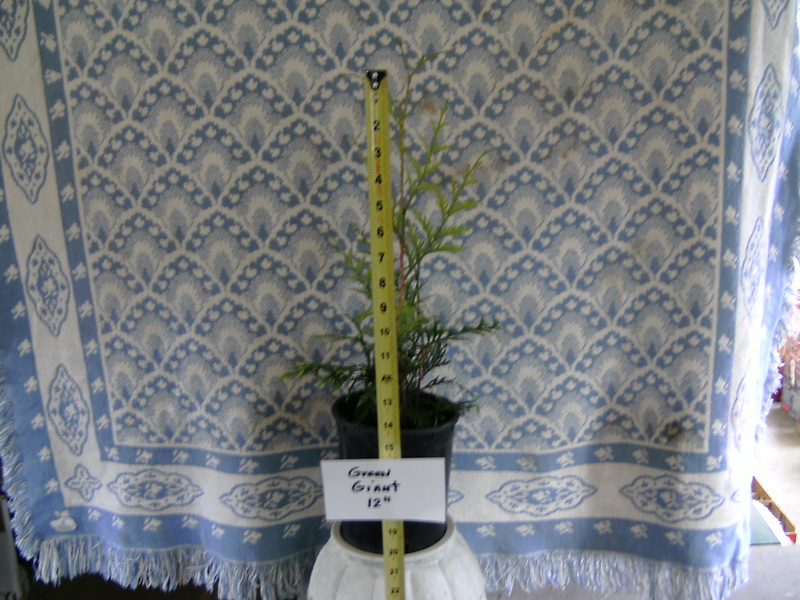 The 'GREEN GIANT' Arborvitae s a tall fast growing upright evergreen with a tightly pyramidal to conical growth habit. 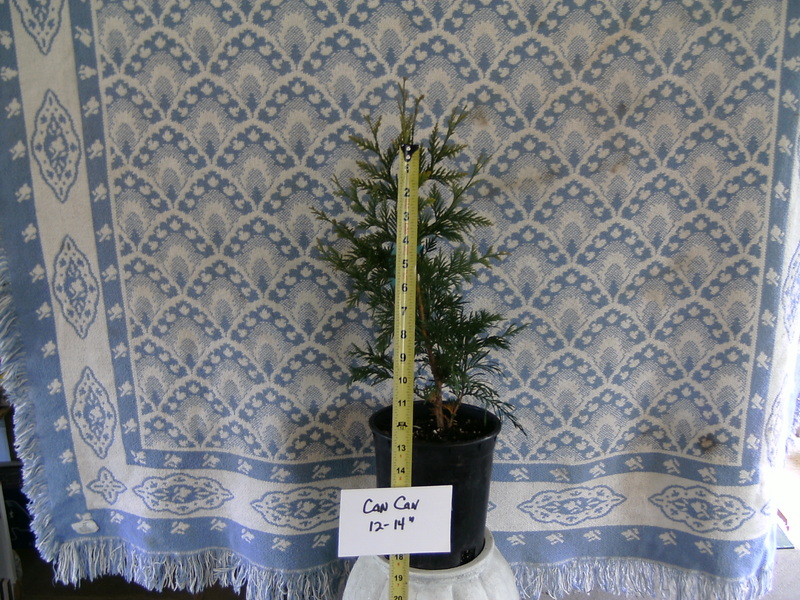 This is one of our best selling Arborvitae. 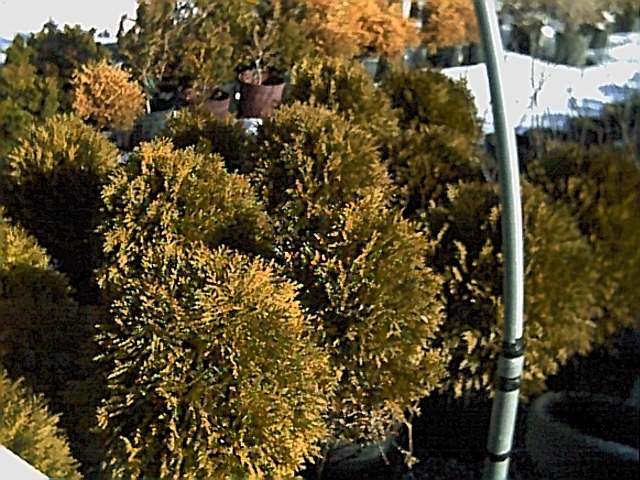 Its foliage is a very nice glossy rich green that even looks great during the winter showing very little bronzing color that is common to many species of arborvitae. 1000 Can Cans are available ...please Email Us to reserve them.. 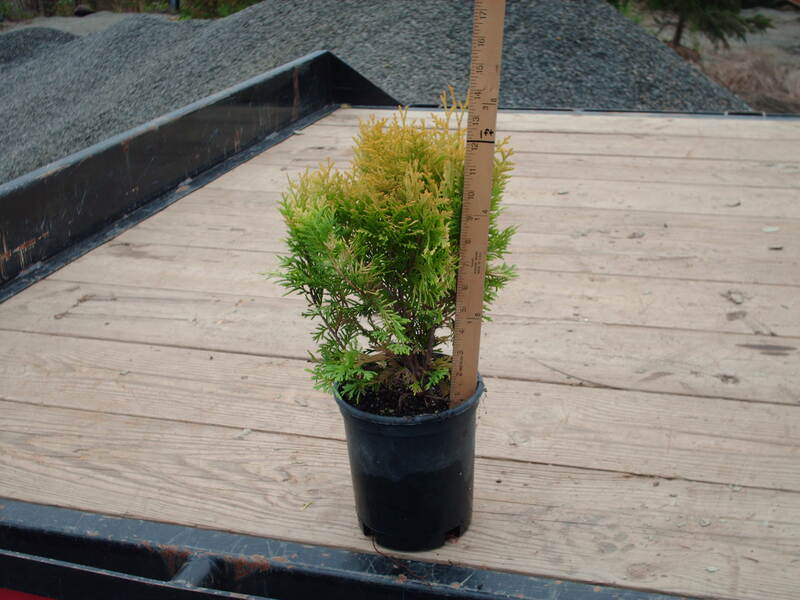 The Can Can is a dwarf conical from of Thuja plicata with thick dark green foliage and cream colored tips. This variety is very popular in Europe. An excellent shrub for the border or perennial garden. This plant is deer resistant and native to North America. 690 are available ...please Email Us to reserve them.. 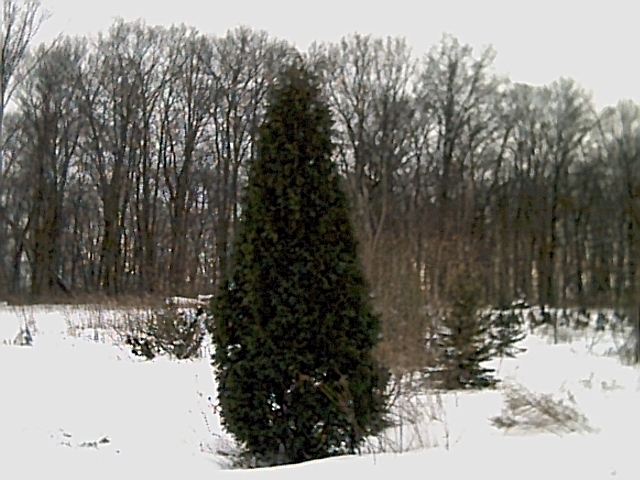 This Arborvitae has an extremely upright growing pyramidal form with dark. 890 are available ...please Email Us to reserve them..
'Zebrina' is an extremely handsome, variegated cedar with a broad pyramidal shape. This plant has excellent deer resistance. It is a zone 5 tree which will grow to 30+ feet and it likes full sun. Note if you pick up at the farm or just need them dropped off we will do that ....call 215 651 8329 for a price quote and availability. 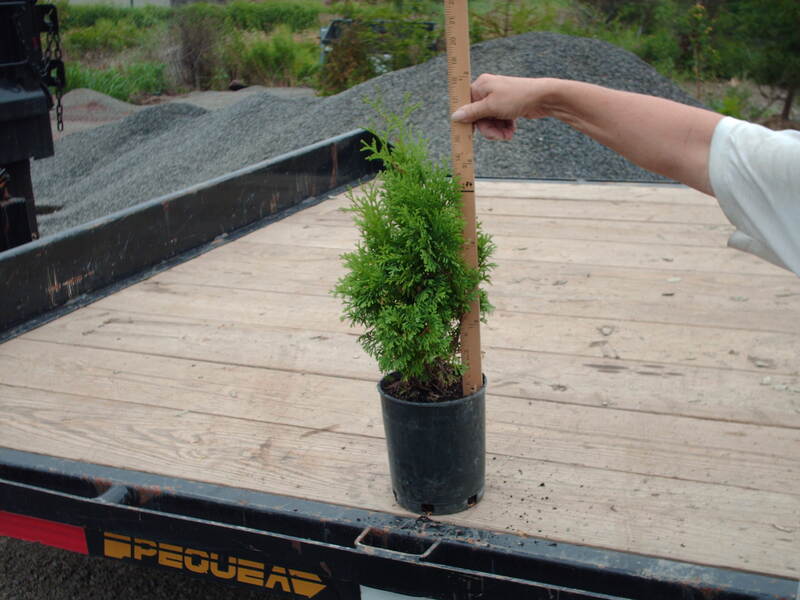 This dense, compact, green arborvitae is not carried by many growers. We report that 'Holmstrup' is deer resistant and we know deer. Our Fountainville Farm is next to a high traffic deer preserve known as, "Peace Valley Park". Their maximum height is about ten feet. It retains their color through out the winter. 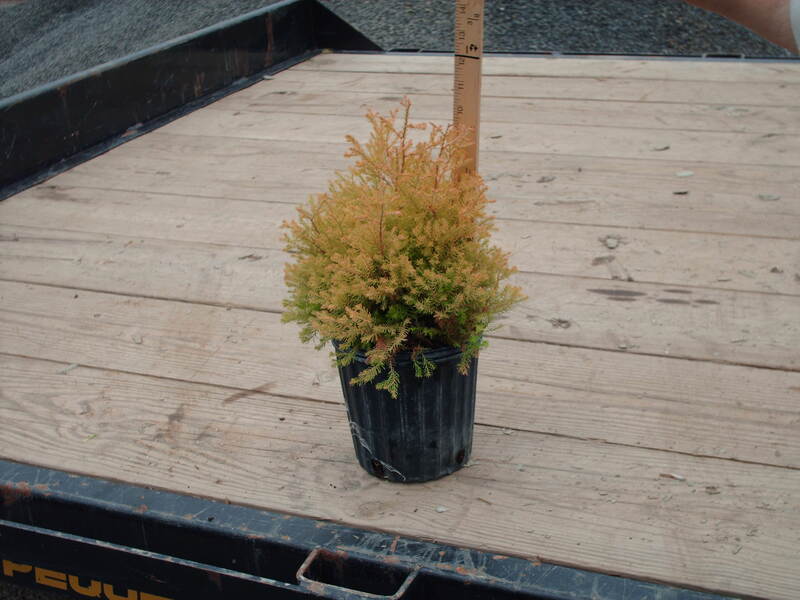 This European Bright Gold Arborvitae can be sent by UPS. A 25 tree order costs $13 per tree plus tax and shipping by UPS. 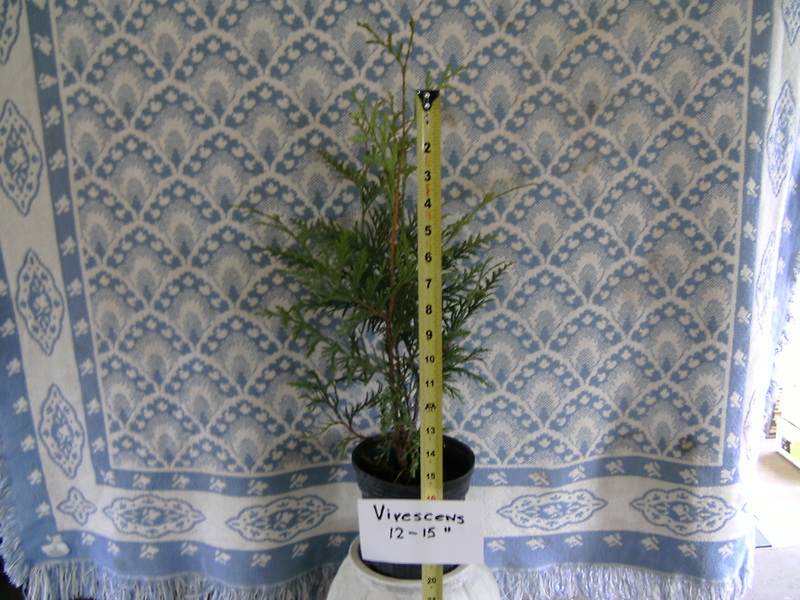 This Reingold Arborvitae can be sent by UPS. A 25 tree order costs $15 per tree plus tax and shipping by UPS. 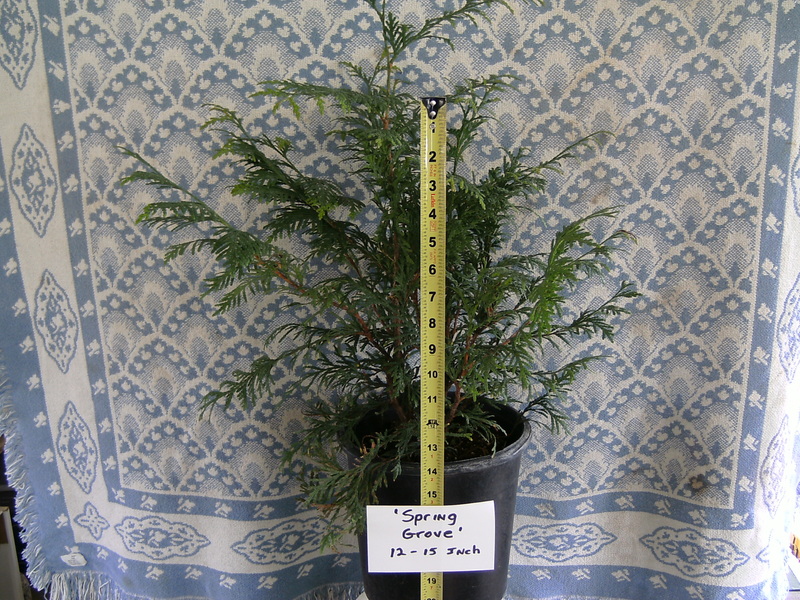 This Fast Growing Spring Grove (Green Giant) Arborvitae can be sent by UPS. A 25 tree order costs $20 per tree plus tax and shipping by UPS. 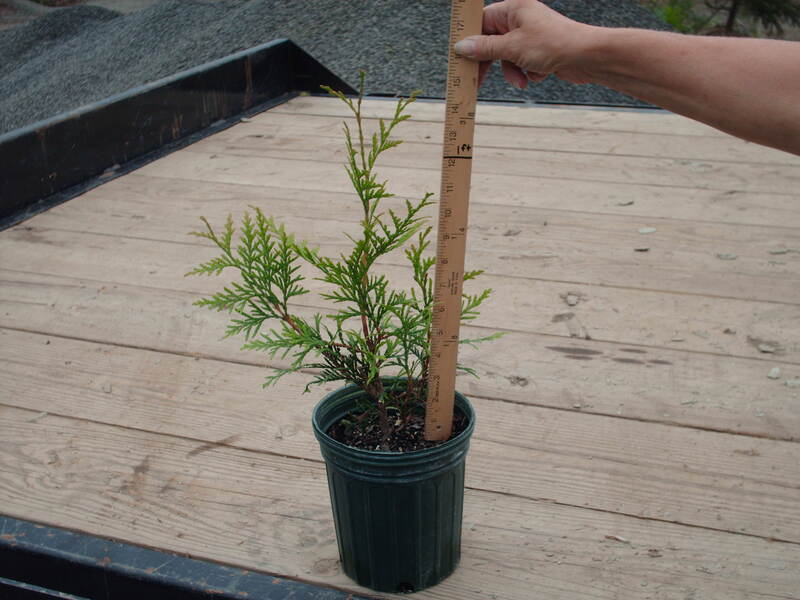 This Holmstrup Arborvitae can be sent by UPS. A 25 tree order costs $15 per tree plus tax and shipping by UPS. This Green Giant can be sent by UPS. A 25 tree order costs $10 per tree plus tax and shipping by UPS. These are 7-10' tall in the field. 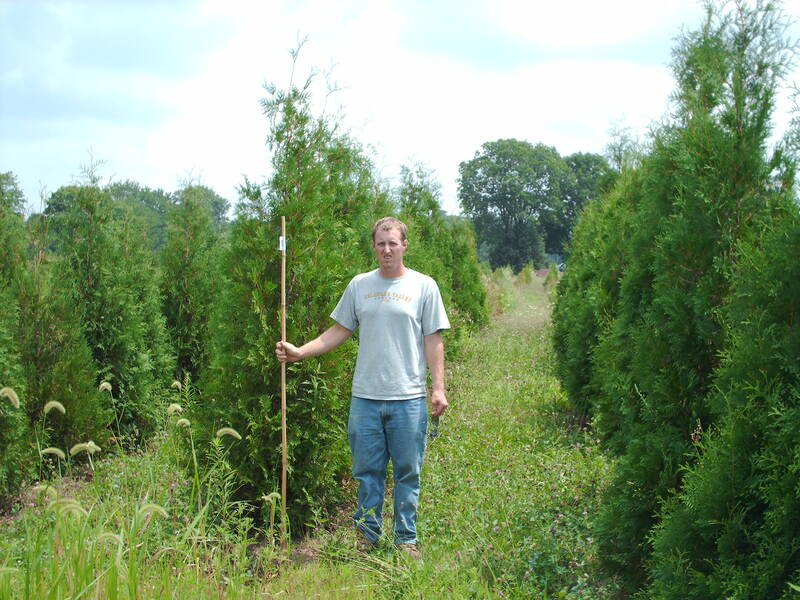 We have thousands of arbs and always have hundreds ready for you to pickup. From 2' to 15' we have inventory balled and burlapped. Don't worry about driving long distances to get to us. We are easy to get to near Phila., on a major road, Rt. 313 in Fountainville Pa.. We want to move our stock and will make sure that you go home a happy camper. If you are coming from a long distance, we will give away free inventory that is surplus to our needs. One of our fields is being converted into ball and soccer fields and work will begin June 1, 2006. Stock in this field will go cheap. We will stay open til the last dog dies or we sell out. I think we have more stock than what we possibly can sell. 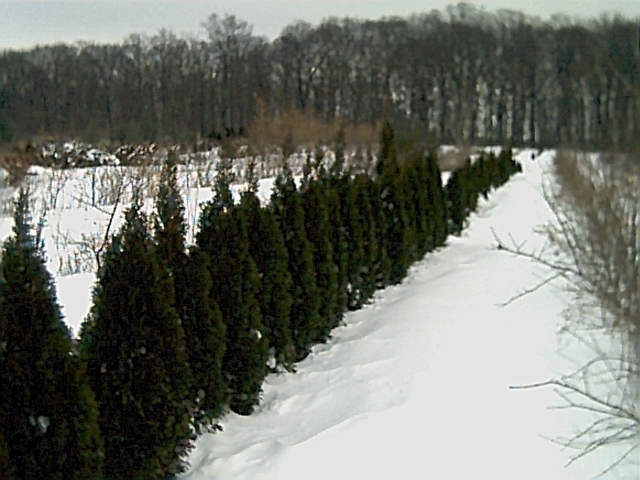 Our most popular Arborvitae is the Emerald Green arborvitae. The Emerald green is damaged by deer in many areas. If you have had this problem try using the Can-Can. Many people prefer to spell them Arbor Vitae . It is a bright light green color and narrow in shape. It makes a distinctive and impressive natural fence. It is easy to grow ,plant, and keep in shape. 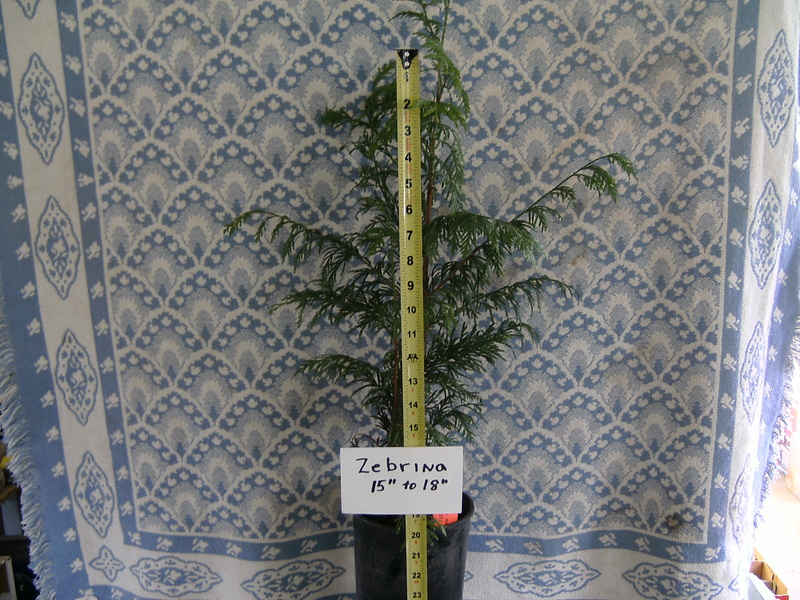 The Hetz Midget arborvitae is a dwarf globe variety. This is a good choice for along walkways and gardens. This is a tough plant that is easy to install and not going to cost a lot. It will maintain its color in the winter and will withstand snow loads well. We carry these plants in 2 and 3 gal. pots. The prices on these dwarfs vary from $15 to $30 depending on size and quantity ordered. 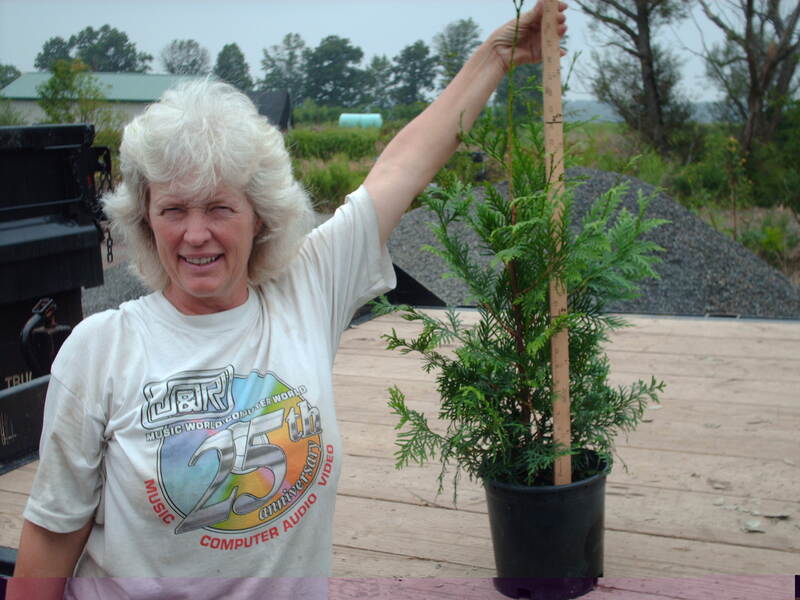 Another small arborvitae that we grow in pots is the Rheingold arborvitae. This is a small globe shaped plant that has a golden green cast to it in the summer and a bronze winter color. 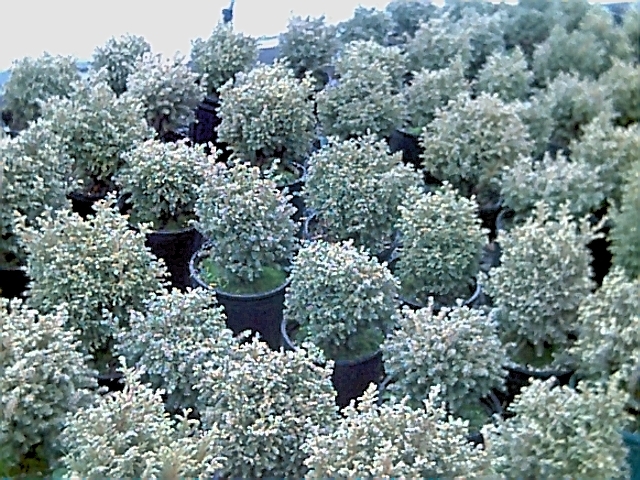 We also have the American Arborvita known as "Tiny Tim".This arborvita grows in zone 2 - 7. Its is a needled evergreen in the Cupressaceae Family. It will grow in height from a half a foot to 1 foot tall. Its spread will be about 1 to 1.5 feet. This is a plant that requires little work. This is a Nigra Arborvita about 12' high. Its single leader is unchanged by a 14" snowfall. These are Emerald Green Arbs, about 3' high. Most of these are a single leader. We have these in quantity up to 6'. These Emerald Greens are 3-4' and starting to fill out well. These plants transplant easily. Arbs have masses of small fibrous roots which allows them to transplant at most times of the year. The Emerald Green has the best year round color, but is narrow in form. In real dry years this plant does not survive as well as the more open arbs such as the American, Techny, Nigra, and Elegantissma. This variety, because its foliage is more dense than other varieties, is less tolerant than more open cultivars. In an urban area with deer problems, this variety will be consumed before the next season. 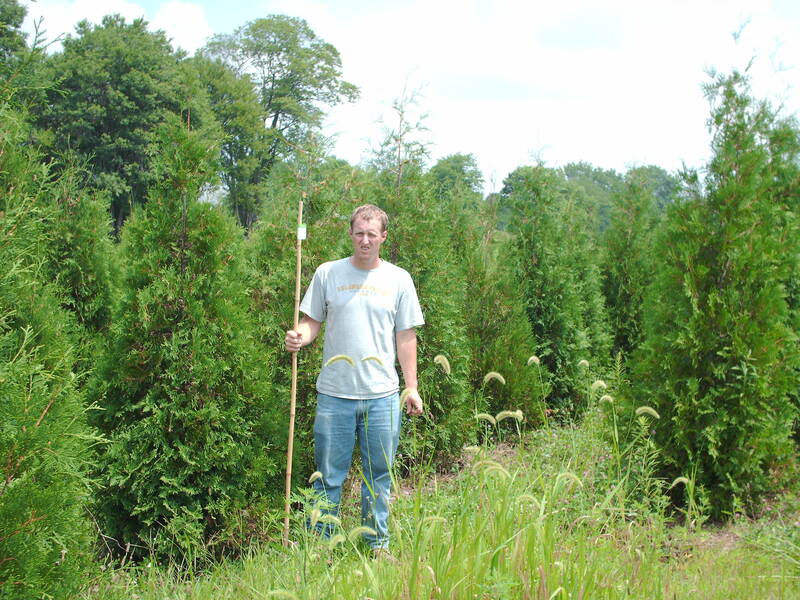 We have in stock and ready to pickup these arbs from seedlings (6-10") to 6-8' trees. We also have some potted 3' Emeralds Ready to go for $30 ea. This is an Elegantissima arborvitae hedge that we have used to buffer the street in front of our home. Note the strenth of this plant even with a heavy snow load. The only problem that this hedge has is salt spray from the road. Its a real sound barrier to a busy road which is only 18' from our door. The hedge is 15-18' high and only 4' wide. 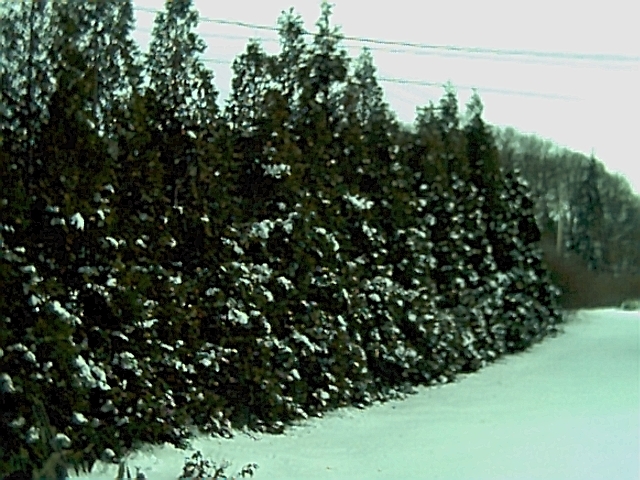 We have these arbs form 2-3' to 6-8' B&B.